We would like to highlight a fantastic new exhibition at the Winns Gallery in Lloyd Park, beginning on the 16th of November 2017. 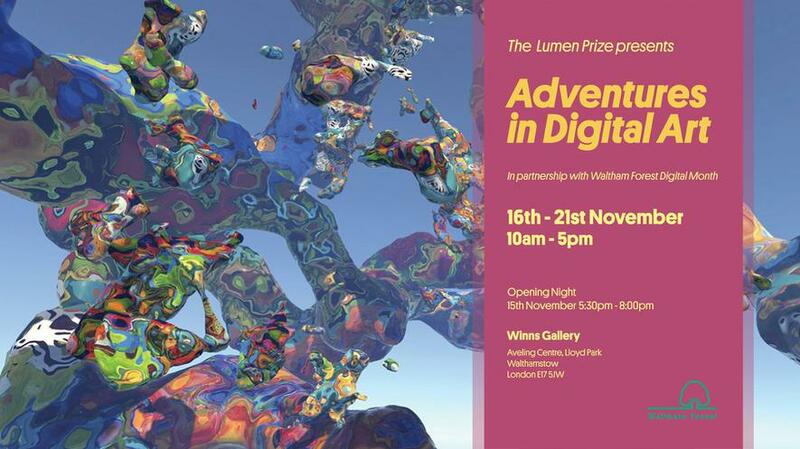 This exhibition showcases stunning examples of digital art. Opening times are 10am - 5pm daily. There is also a series of free creative coding workshops taking place on Saturday 18th November from 11 am onwards.